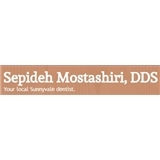 Sepideh Mostashiri, DDS (Sunnyvale) - Book Appointment Online! The doctor is gentle with the cleaning, friendly, and patient in answering my questions. I am new to the office but so far so good.